When a film is based on a true story, it gains additional effect to the audiences trying to weight if the film is believable or not. The film “Kidnapping Freddy Heineken” is a heart-pumping heist thriller that would surely capture your attention. The film starts by giving the audience an overview on the situation of the kidnappers before they decided to do something outrageously wicked. The film gives you a glimpse of how the human mind can create an elaborate crime when being pushed by unlikely circumstance - in this case poverty and bankruptcy. 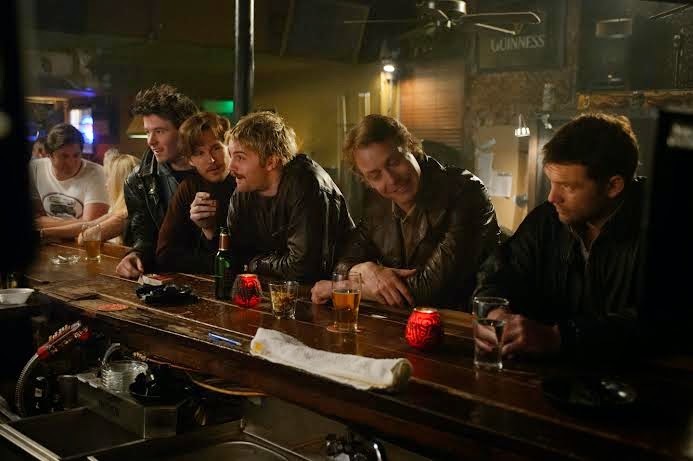 “Kidnapping Freddy Heineken” will take you in a psychological battle between the minds of a group of friends turned criminals, and the impressivly maintained composure of a captive businessman. “Kidnapping Freddy Heineken” is based on crime journalist Peter R. De Vries’s account, and directed by Daniel Alfredson. The film is led by the amazing Anthony Hopkins along with Jim Sturgess, Sam Worthington, Ryan Kwanten, Mark van Eeuwen, Tom Cocquerel and Jemima West. The 1983 kidnapping of Dutch tycoon Freddy Heineken by Cor Van Hout, Willem Holledeer, Frans "Spikes" Meijer, Jan "Cat" Boelaard, and Martin "Brakes" Erkamps captivated the nation and became front-­‐page news. Heineken was released unharmed after three weeks for a ransom of 35 millions Dutch guilders (the equivalent of about $50 million USD today). Academy Award® winner Anthony Hopkins is Freddy Heineken, heir and driving force of the Heineken empire and one of the richest men in the world. While in captivity, Heineken demonstrated the same will, resourcefulness and drive that took him to the top of the business world – skills that kept him alive. Rated R13 by the local censors board, “Kidnapping Freddy Heineken” opened in Philippine theatres March 6 nationwide from Axinite Digicinema.